Transform into the beautiful Goddess of Love 'Aphrodite' with this beautiful Ladies Roman Goddess Costume. Includes a long black dress styled with a patterned hemline and an attached red shawl which hangs over the shoulder. 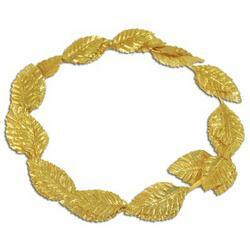 Finishing this Roman fancy dress is the all important accessories, a luxurious patterned headband which sits around the forehead, a pair of shiny gold metallic arm bands and a rope style belt. 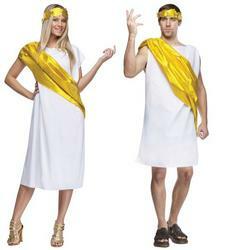 An eye catching costume idea perfect for any Roman or Greek themed fancy dress party.